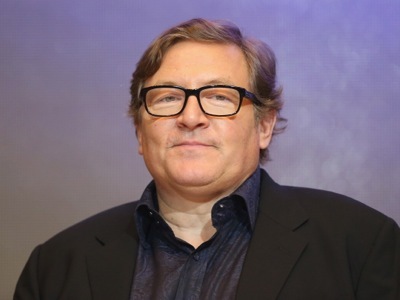 The legendary movie producer Lorenzo di Bonaventura (TRANSFORMERS and GI JOE franchises RED, SALT) will be the recipient of ZFF’s coveted ‘Golden Eye’ Career Achievement Award at this year’s Festival, taking place September 22 – October 2. Di Bonaventura will receive the ‘Golden Eye’ for his life’s work on Wednesday, September 28th at the Corso Cinema, which will be followed by a gala premiere screening of his latest film DEEPWATER HORIZON, starring Mark Wahlberg, Kate Hudson, Kurt Russell, Gina Rodriguez, Dylan O’Brien and John Malkovich, and directed by Peter Berg. The much anticipated DEEPWATER HORIZON is a story set on the offshore drilling rig Deepwater Horizon, which exploded in April 2010, creating the worst oil spill in U.S. history and becoming one of the worst man-made disasters ever. This story honors the brave men and women whose heroism would save many on board, and change everyone’s lives forever. Lorenzo di Bonaventura produced the film with Participant Media and Lionsgate. Summit Entertainment will release the film in the US on September 30. Lorenzo di Bonaventura was born in New York. His father, Mario di Bonaventura, is an international conductor. Mr. di Bonaventura received his undergraduate degree in intellectual history at Harvard College and earned a Master of Business Administration at the University of Pennsylvania's Wharton School of Business. He began his professional life operating a river-rafting company and later joined Columbia Pictures and worked in distribution, marketing and in the office of the President. In February 1989 Mr. di Bonaventura joined Warner Bros. While at Warner Bros., di Bonaventura was involved in over 130 productions. Amongst his biggest commercial and critical successes were: FALLING DOWN (1993), A TIME TO KILL (1996), THE MATRIX (1999), ANALYZE THIS (2000), THE PERFECT STORM (2000), OCEAN’S ELEVEN (2001), HARRY POTTER AND THE SORCERER'S STONE (2001), TRAINING DAY (2001) and THREE KINGS (1999). In January 2003 di Bonaventura formed a production company based at Paramount Pictures. Since then the company has produced 23 films including the Transformers franchise, directed by Michael Bay; the espionage thriller SALT, starring Angelina Jolie; RED and RED 2, starring Bruce Willis; GI JOE: THE RISE OF COBRA and its sequel, GI JOE: RETALIATION; the sleeper hit THE DEVIL INSIDE and the critically acclaimed SIDE EFFECTS, directed by Steven Soderbergh. Upcoming productions include KIDNAP, starring Halle Berry; GRANITE MOUNTAIN HOTSHOTS, about the Prescott Arizona firefighter tragedy; BORN TO RUN, based on the Christopher McDougall’s best-selling novel; and the fifth installment of the TRANSFORMERS franchise, TRANSFORMERS: THE LAST KNIGHT. In 2011, the company branched into television production with the formation of di Bonaventura Pictures Television. Based at ABC Studios, di Bonaventura Pictures Television produces THE REAL O’NEALS, and is currently developing the comedies THE WONDERFUL WOMEN OF WILL'S WORLD, about a charismatic man who tries to juggle life with his two ex-wives, his new younger wife and his three children, and BLONDIE & CLYDE, a modern-day LAVERNE & SHIRLEY about two women with big-town dreams who live in small-town Iowa; and several yet to be titled dramas.